The ACSW papers are now available via the ACM DL. Please select the "Table of Contents" tab on the right to see the papers. Abstract: My work aims to enable people to harness, control and manage their big personal data. To really achieve this, many sub-disciplines of computer science need to take a human-centred perspective. People are generating vast, and growing, collections of personal data, captured by rich personal digital ecosystems of devices. Users explicitly store some data but systems also capture the user's digital footprints, ranging from simple clicks and touches, to data from body-worn devices, to images, audio and video. This personal data resides in a quite bewildering range of places, from personal devices to cloud stores, in multitudes of silos. Big personal data may be of modest size compared with big scientific data, but people consider their data stores as big, because they are complex and hard to control and harness. A driving goal for my research has been to tackle the challenges of big personal data by creating infrastructures, representations and interfaces that enable a user to scrutinize and control their personal data in a scrutable user model. This talk will present examples of that research including diverse roles for personalisation from teaching to online dating and in novel interfaces for interactive tables and walls. It will also highlight directions for human-centred approaches to ensure privacy and control of big personal data. Bio: Judy Kay is Professor of Computer Science. She leads the Human Centred Technology Research Cluster, one of three priority clusters in the Faculty of Engineering and IT at the University of Sydney. Her own lab, CHAI, Computer Human Adapted Interaction Research Group aims to create new technologies for human computer interaction (HCI). Her personalisation research has created the Personis user modelling framework. Personis models are distinctive in that they were designed to be scrutable, because interfaces enable the user to scrutinise their user model and personalisation processes based on it. Her interface research has created the Cruiser Natural User Interaction (NIU) software framework. This provides new ways for people to make use of large interactive tabletops and wall displays. By mining the digital footprints of such interaction, this research is creating new ways for people to learn to collaborate, and to learn and work more collaboratively. Her research has been commercialised and deployed and she has extensive publications, in venues such as the conferences Pervasive, Computer Human Interaction (CHI), User Modeling (UM, AH, UMAP) and journals, such as IEEE Transactions on Knowledge and Data Engineering, International Journal of Artificial Intelligence in Education, User Modeling and User-Adapted Interaction, Personal and Ubiquitous Computing, Communications of the ACM, Computer Science Education. Abstract: Gartner said in December that smart cities will use 1.6 billion connected things in 2016 rising to 3.3 billion in 2018. Large scale sensor network systems are not only features of cities and consumer products; but also of the interlinked industries of agriculture, manufacturing, food and health care. The AIOTI alliance of the European Commission concluded in November that “The biggest challenge will be to overcome the fragmentation of vertically-oriented closed systems, architectures and application areas and move towards horizontal open systems and platforms that support multiple applications.” This reflects an environment where a great number of industry alliances and SDOs have formed with a vertical silo approach for service and data interoperability. On the other hand, ontologies founded on description logic are one of the few success stories for decades of research in knowledge representation and are now standardised and widely used for horizontal data interoperability, in the framework called the Semantic Web or the Web of Data. Formal reasoning is at the heart of a growing number of deployed tools and applications for data interoperability within enterprises and across government. The Semantic Sensor Networks ontology was originally developed by a collaboration hosted by the W3C in 2009, to describe aspects of sensor networks and sensor data that is needed for loosely-connected interoperability and interpretation at a level above communications networking. The ontology has now entered the standards track of the W3C and OGC through the joint Spatial Data on the Web Working Group. In this talk I will discuss the role of ontologies in the developing Internet of Things and my hopes for the SSN ontology in particular. Bio: Kerry joined the Australian National University four weeks ago. For the previous six months she was working as a specialist at the Australian Bureau of Statistics after 20 years at CSIRO as a research scientist in the division now known as data61. Her research has focused on data and system integration in multidisciplinary contexts, and she has been working with semantic and sensor systems for at least ten years now. She has also worked as an IT professional in the consulting, publishing, and education industries and government. Kerry holds a BSc Hons in Computer Science from UNSW 1983 and a PhD in Computer Science and Information Technology from the ANU in 1996. She is a Visiting Reader at the University of Surrey. Patricia Haden, Joy Gasson, Krissi Wood and Dale Parsons. Can You Learn To Teach Programming in Two Days? Marshima Mohd Rosli, Ewan Tempero and Andrew Luxton-Reilly. What is in our datasets? Describing a structure of datasets. Abstract: The importance of metacognition and problem solving skills in academic achievement is well recognised. However, even in higher education students often lack academic metacognitive capacities. Now more than ever, we are in a position where it is crucial that we refocus on these skills. In talking about lifelong learning, graduate attributes and graduates that are "future proof" we must pay explicit attention to supporting the development of such skills. Teaching large first year introduction to coding classes within information technology and multimedia degree programs poses some challenges. Students' knowledge of, and interest in, coding ranges from `I've never written a single line of code; coding is not my thing', to `I've already written a major application; coding is my life', to everything in between. Typically the majority of students in my classes have very little or no understanding of coding. Assessment performance, course satisfaction and pass rates can be `very average'. Informal and formal data gathered from these classes indicates that poorly developed metacognitive capacities is a major contributing factor to students' lack of success in such courses. In effort to place much-needed emphasis on metacognition and problem solving skills, and in order to open some discussion, I use the case of one particularly challenging course to share experiences, strategies and approaches to support students' growth in metacognition and problem solving skills in introductory coding courses. Bio: Geraldine Torrisi-Steele is a senior lecturer within the School of Information and Communication Technology at Griffith University, where she teaches undergraduate courses within the multimedia and information technology degree programs. Her background in secondary science education and in the design and development of interactive e-learning, has precipitated a strong interest in learning and teaching, the user experience and user interface design design, and the application of digital media to educational contexts. Sprego is a deep approach problem solving method in spreadsheet environments, and as such does not apply the popular but ineffective surface approach methods. The main characteristics of Sprego is that it uses as few general purpose functions as possible and based on these functions users can build multilevel formulas to solve real world problems. In this approach the focus is on the problem, instead of the technical and coding details. Relying on the functional language of spreadsheets, Sprego can serve as an introductory language to high level programming languages and as the ultimate language of end-users who do not want to be professional programmers. The method requires no more background knowledge than the concept of function from Mathematics, so it can be taught at various levels of education. Teachers from primary to tertiary education and end-users from any subject are welcomed at the workshop. We introduce the method, present and solve problems, with which we can demonstrate how the students' computational thinking, algorithmic and debugging skills can be developed in spreadsheet environments with real world problems based on authentic tables. The participant can learn the core of the method, how to solve problems with a concept-based approach in spreadsheets and experience the hindrance of the widely accepted surface approach methods. We can share ideas how students would benefit the most from this approach, we can collect unique solutions to the presented problems, and ideas for further problems and sources for improving Sprego. The workshop will help Associate Deans (L&T) in Schools of computing and information systems, and other educational developers, to meet peers and develop relationships that will be of use in doing benchmarking, and plan how to implement review processes that are workload-efficient and effective Benchmarking the standard of degrees is a challenge to disciplines like computing in all universities. The publication of Threshold Learning Standards for the broad academic disciplines (Engineering and ICT, in our case) gives sub-disciplines the opportunity to refine standards for their own specialisation, and re-examine their curricula and their development and review processes. 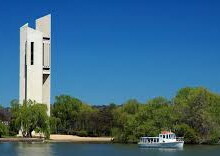 The recently tabled Australian Government Higher Education Framework has emphasis on regular comparator review, which brings standards into consideration as the basis for benchmarking. Some of the pressure to ensure graduate standards also comes from employers, and from tax-payers as funders of university education. An effective peer review process has to satisfy students, employers (collectively as industry), academics, politicians, and regulators. The Threshold Standards are very broad and long term; the immediate needs of industry are often expressed narrowly and for the short-term. Academics often draw on their own long educational experience for ideas of content, measures, and approaches to teaching. Academic planners and leaders need to know these conflicting requirements and how to steer between them to benefit Schools and students. Cognitive Load Theory (CLT) focuses on human cognitive architecture; the concepts of long term and working memory and their interplay. CLT has been successfully applied to the design of instructional materials for technical areas, leading to increased student learning. Principles and techniques derived from CLT are usually applied to individual topics or sub- topics of content. Our approach looks at whole-of-course design, as well as examining individual instructional materials. Participants in the workshop will be taken through a case study; and then introduced to the Cognitive Assistance Factor Evaluation (CAFE') toolkit. CAFE' is a new web-based course evaluation toolkit for use by developers and academics, based on principles and techniques from CLT. The toolkit will assist in identifying potential existing weaknesses and propose interventions that are successful at improving courses. It also provides relevant links to research on each principle and technique. This workshop will be particularly suited to those participants who have responsibility for a course which contains novices, or find that some of their students disengage early with the material, "learn" material one day but are unable to do near transfer problems afterwards, or a course that currently has a relatively high attrition or failure rate. Participants will be introduced to a case study of a successful redevelopment, will be given access to the CAFE' toolkit, and will identify some strategies for improving their own course. Anonymised data will also be used as a pilot for a larger research project on the usage of the toolkit for computer science/IT education and usage in other disciplines. Participants will require a laptop or tablet, and web access. Participants should also bring along course(/paper/unit) outlines/material or materials from a poorly performing topic or section within a course, to review during the workshop. CSS (Cascading Style Sheets) is the technology that allows Web authors to specify the layout of Web pages and apps. It is a standard made by W3C. The first parts were published already in 1996 and 1998, but new parts are still being added. In this workshop we'll look at some parts ("modules") of CSS, both older and recent ones, with excursions into how these modules were developed and why they are the way they are. The tutorial part is probably easiest to follow for people who know a little about CSS already, but the syntax is easy enough to pick up. The background information requires no prior knowledge and should be interesting for people who want to know how international standards are made in practice.... or want to help make them. Participants interested in writing CSS style sheets will hopefully learn some new things about CSS. The presenter himself hopes to learn from the participants some fresh ideas about how to develop CSS further and how W3C can develop it most efficiently. No equipment needed, but if you bring a laptop (with a reasonably recent Web browser) you will be able to try some of the examples yourself.